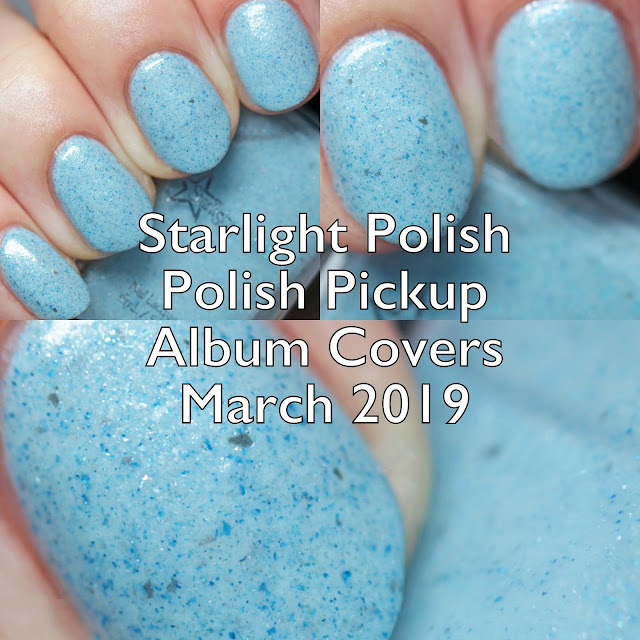 Polish Pickup is about to come back for a new theme, this time Album Covers! The shop opens Friday, March 1 at 11AM EDT and the pre-order runs through 11:59 PM EDT on Monday, March 4. 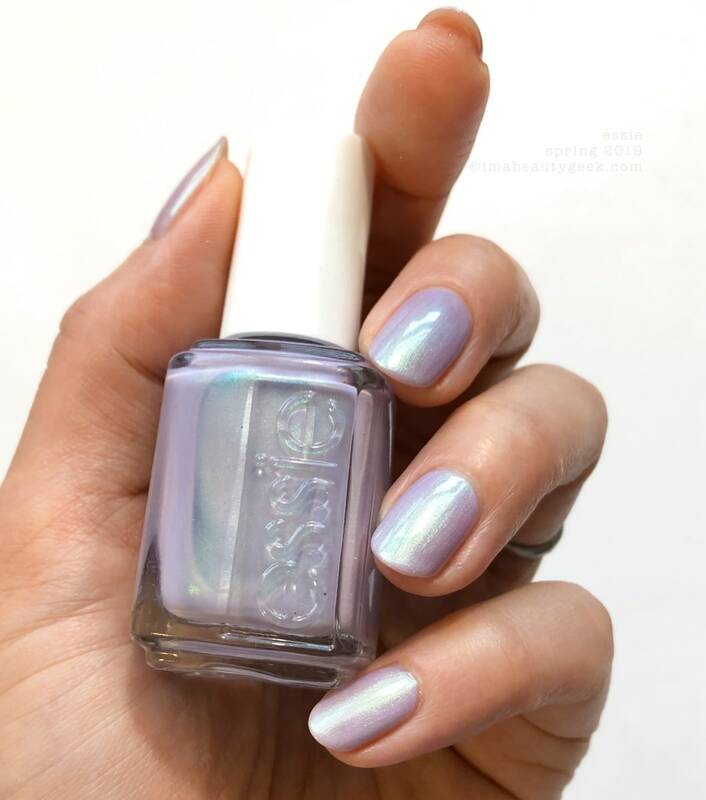 The Polish Pickup is a Facebook group and pop-up shop that offers monthly pre-orders of indie polish made to themes voted on by members of the group. 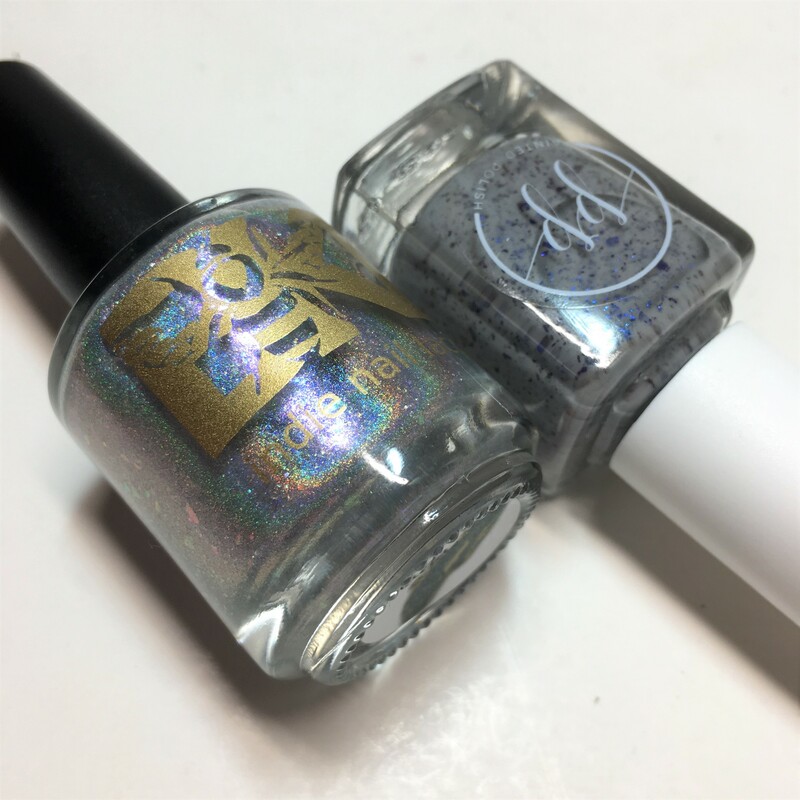 My final polish to show you is from Starlight Polish! Polish Pickup is about to come back for a new theme, this time Album Covers! The shop opens Friday, March 1 at 11AM EDT and the pre-order runs through 11:59 PM EDT on Monday, March 4. 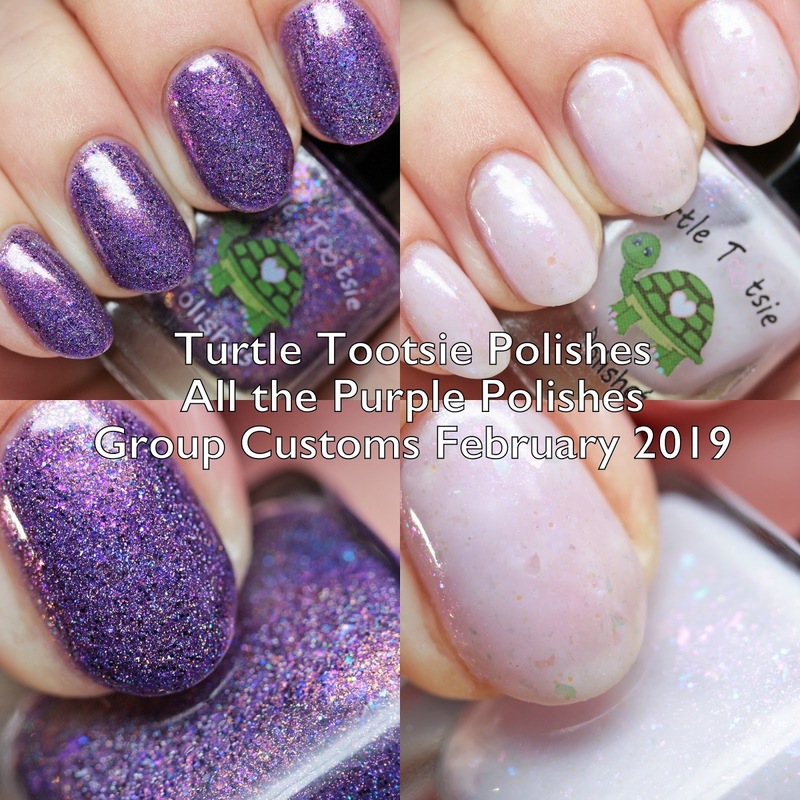 The Polish Pickup is a Facebook group and pop-up shop that offers monthly pre-orders of indie polish made to themes voted on by members of the group. 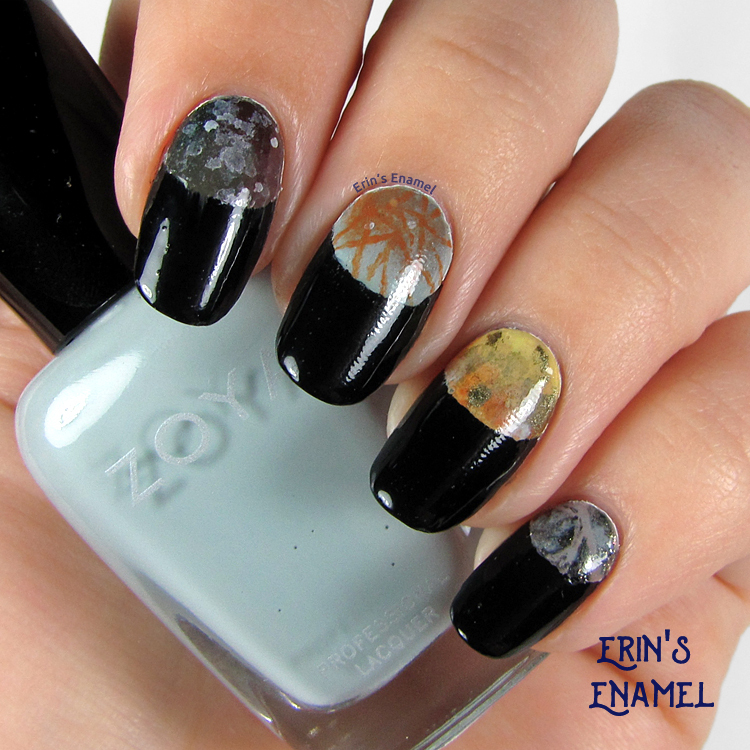 This is Rogue Lacquer's polish, a creamy flake jelly with tons of interesting elements and layers to it! 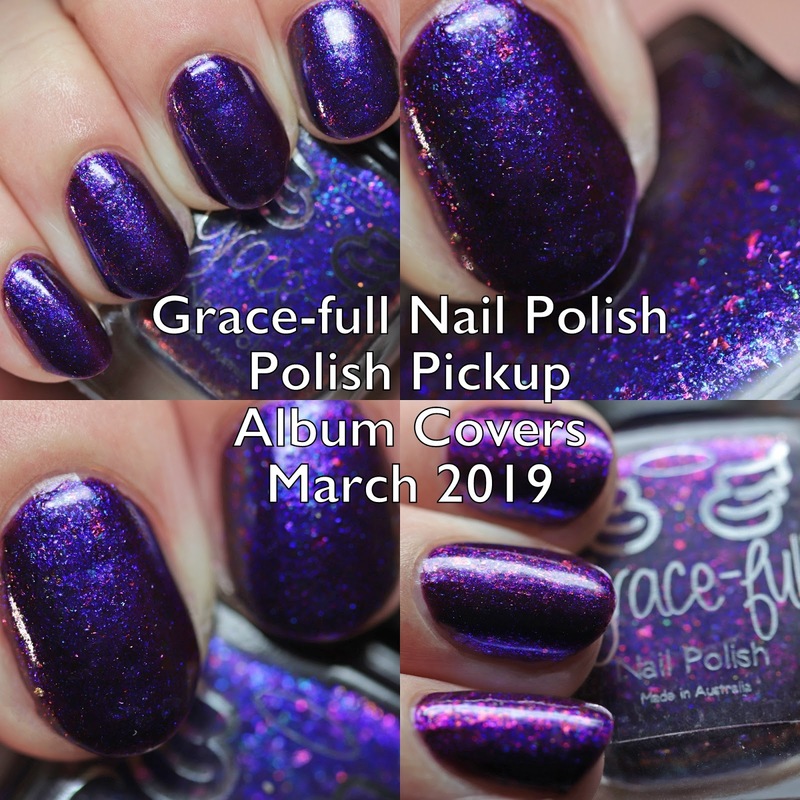 Polish Pickup is about to come back for a new theme, this time Album Covers! The shop opens Friday, March 1 at 11AM EDT and the pre-order runs through 11:59 PM EDT on Monday, March 4. 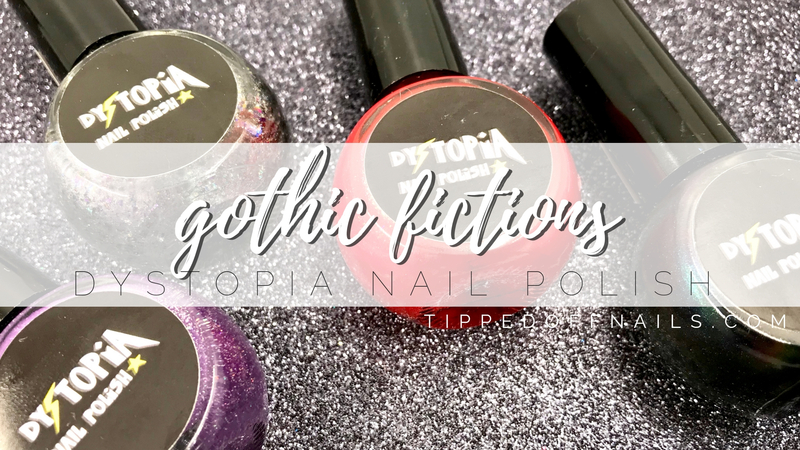 The Polish Pickup is a Facebook group and pop-up shop that offers monthly pre-orders of indie polish made to themes voted on by members of the group. 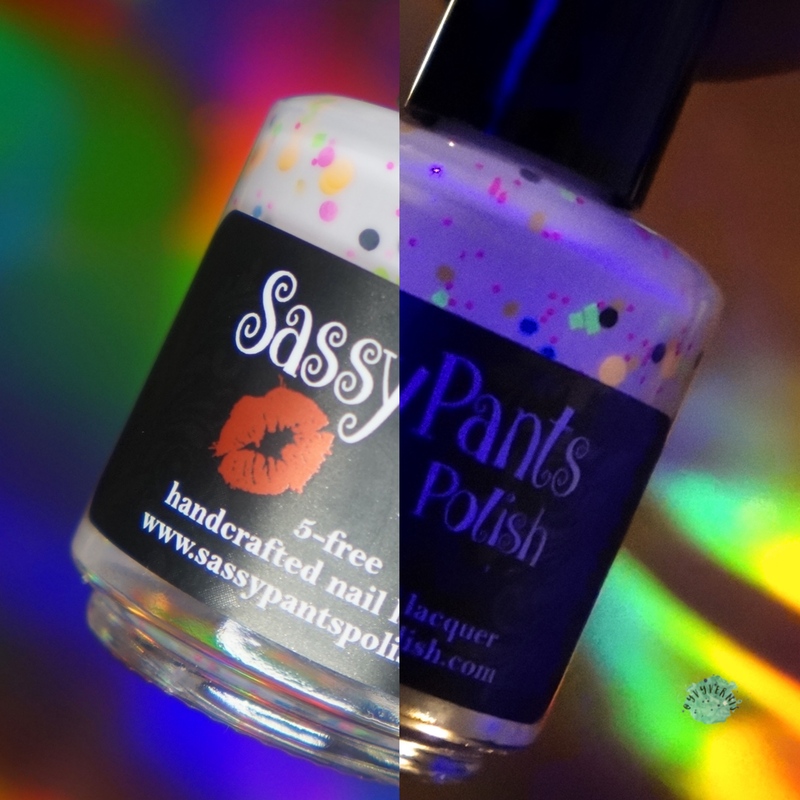 This post is showing Pretty Jelly Nail Polish's contribution. 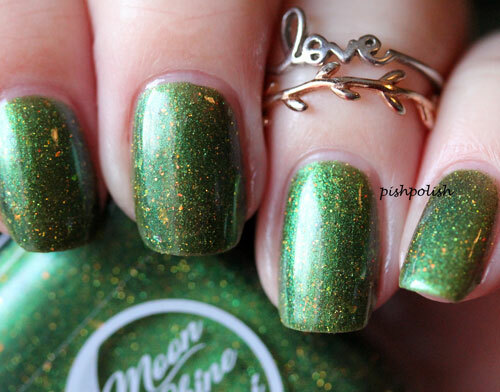 Glitter crelly lovers alert! 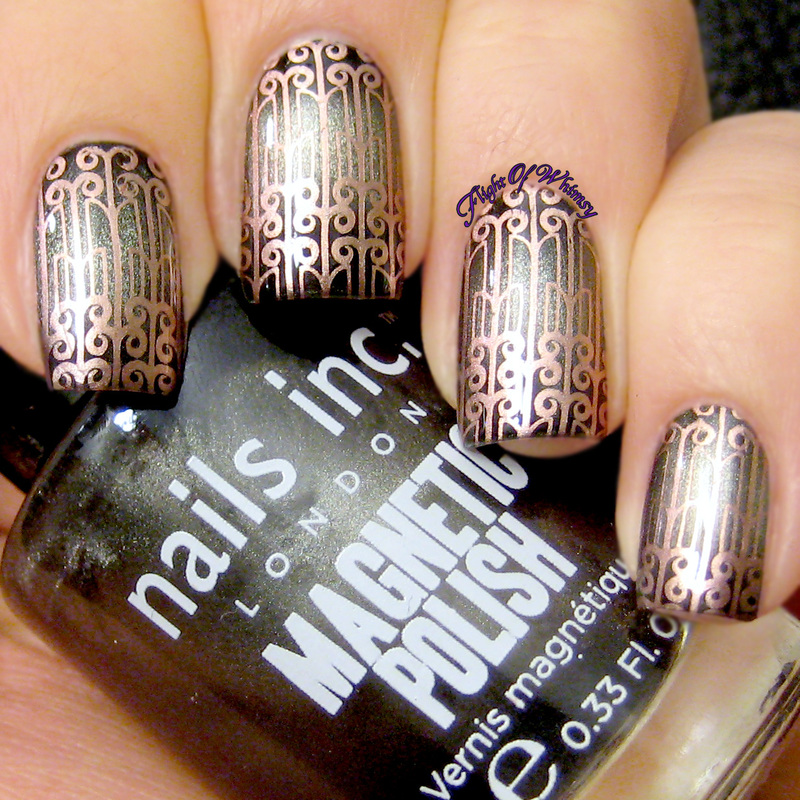 This is a delicate, pretty one for you. Polish Pickup is about to come back for a new theme, this time Album Covers! The shop opens Friday, March 1 at 11AM EDT and the pre-order runs through 11:59 PM EDT on Monday, March 4. 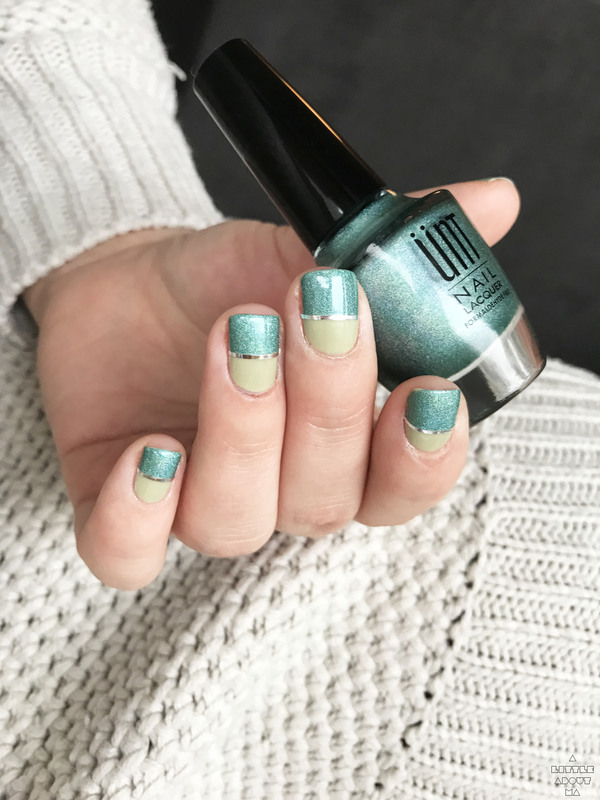 The Polish Pickup is a Facebook group and pop-up shop that offers monthly pre-orders of indie polish made to themes voted on by members of the group. 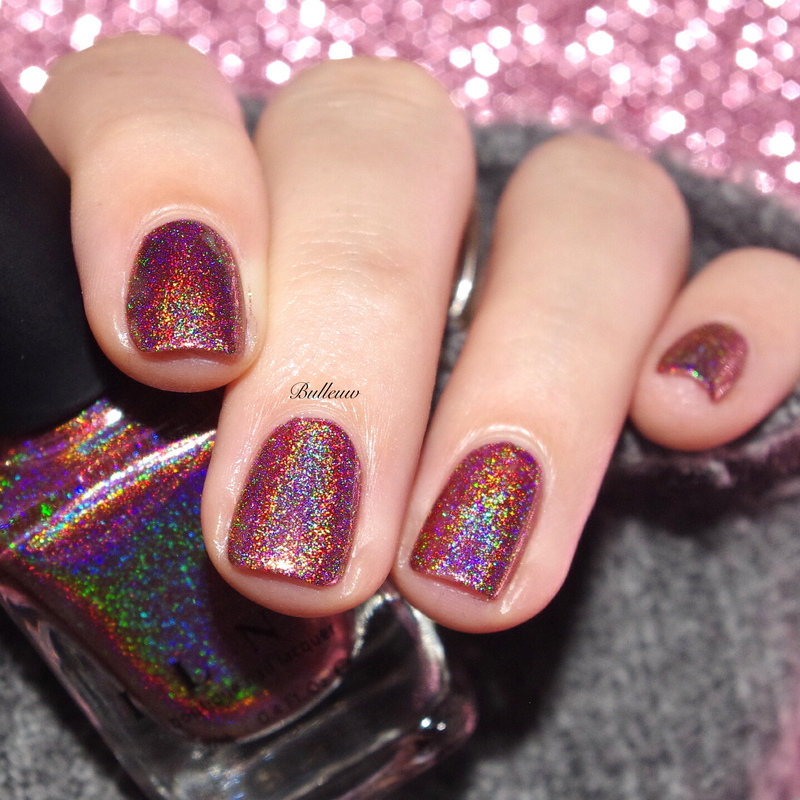 This post features Pretty Beautiful Unlimited's aurora-shimmer-packed shifting jelly holo! 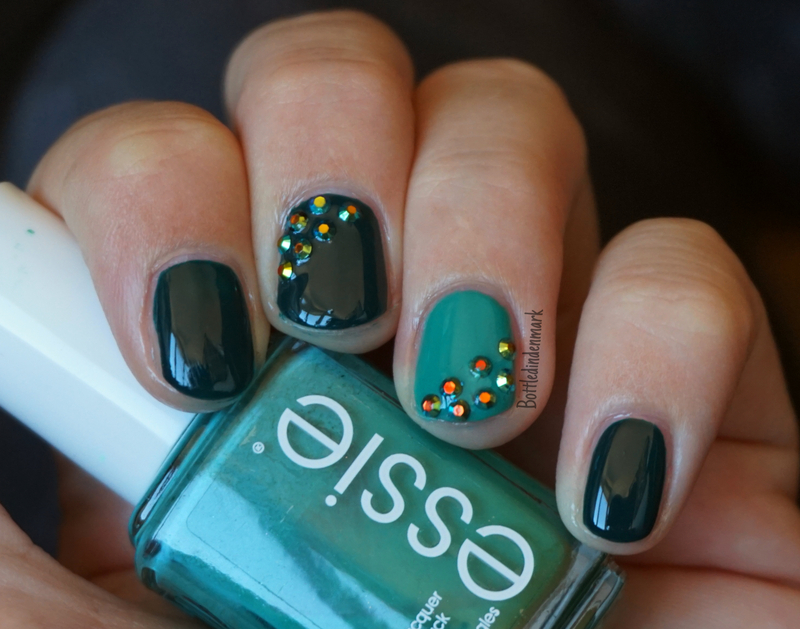 This polish has tons of sparkle that is sure to brighten your day. 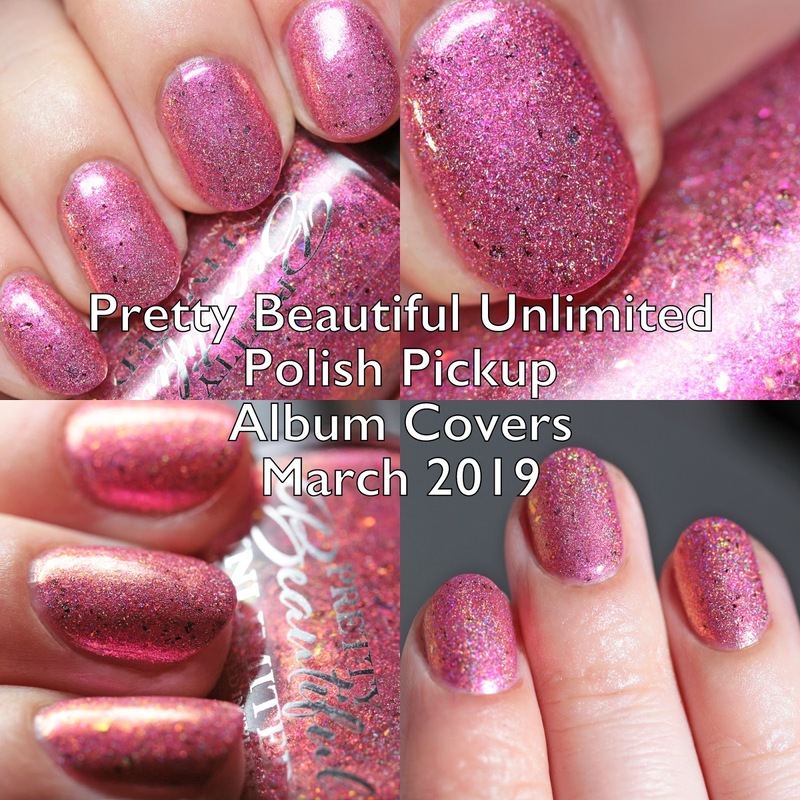 Polish Pickup is about to come back for a new theme, this time Album Covers! The shop opens Friday, March 1 at 11AM EDT and the pre-order runs through 11:59 PM EDT on Monday, March 4. 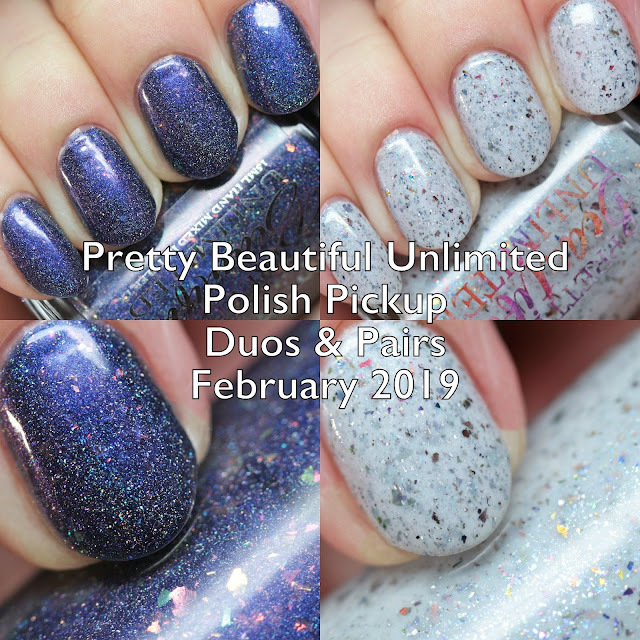 The Polish Pickup is a Facebook group and pop-up shop that offers monthly pre-orders of indie polish made to themes voted on by members of the group. 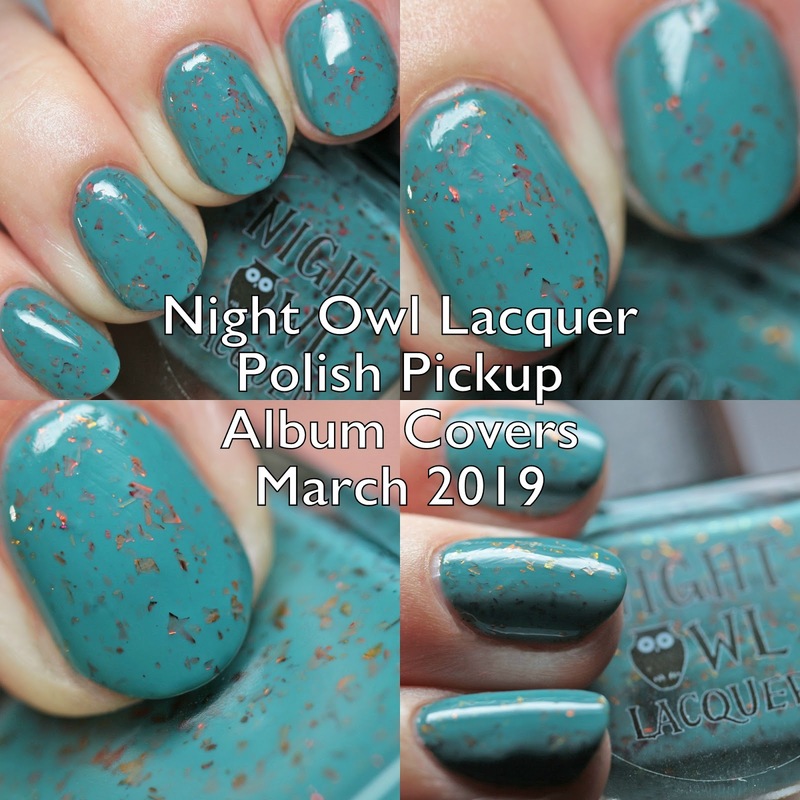 This post focuses on the amazing teal flake polish from Night Owl Lacquer for this release! 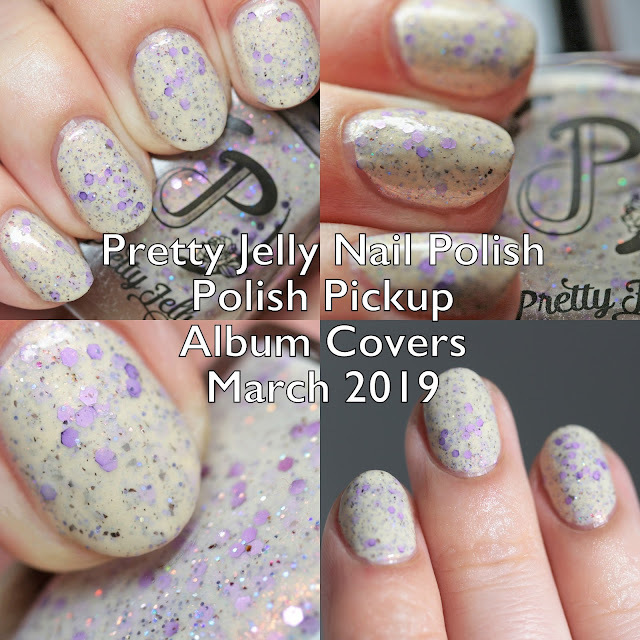 Polish Pickup is about to come back for a new theme, this time Album Covers! The shop opens Friday, March 1 at 11AM EDT and the pre-order runs through 11:59 PM EDT on Monday, March 4. 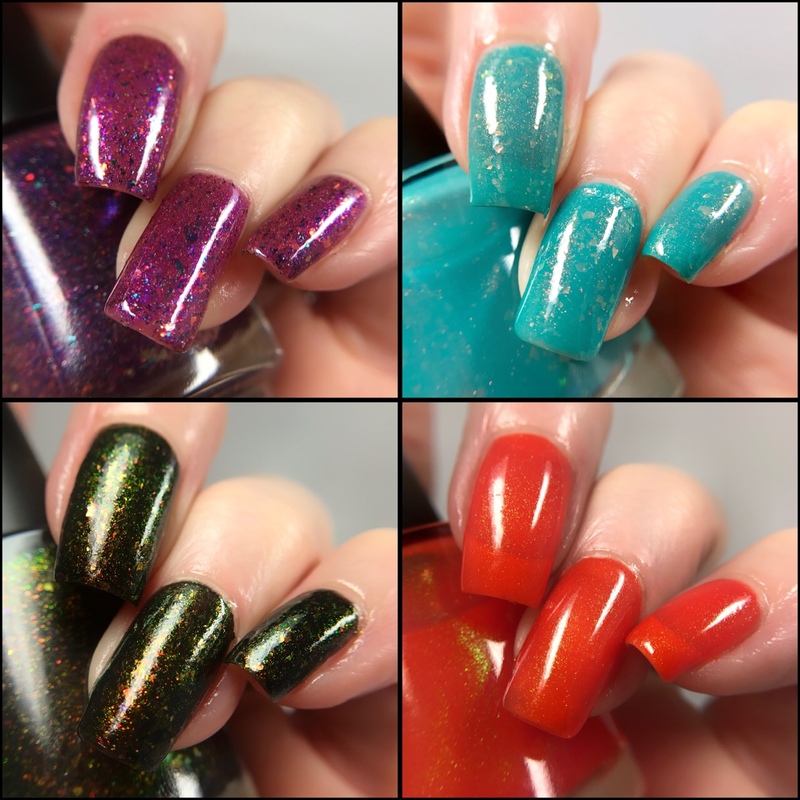 The Polish Pickup is a Facebook group and pop-up shop that offers monthly pre-orders of indie polish made to themes voted on by members of the group. 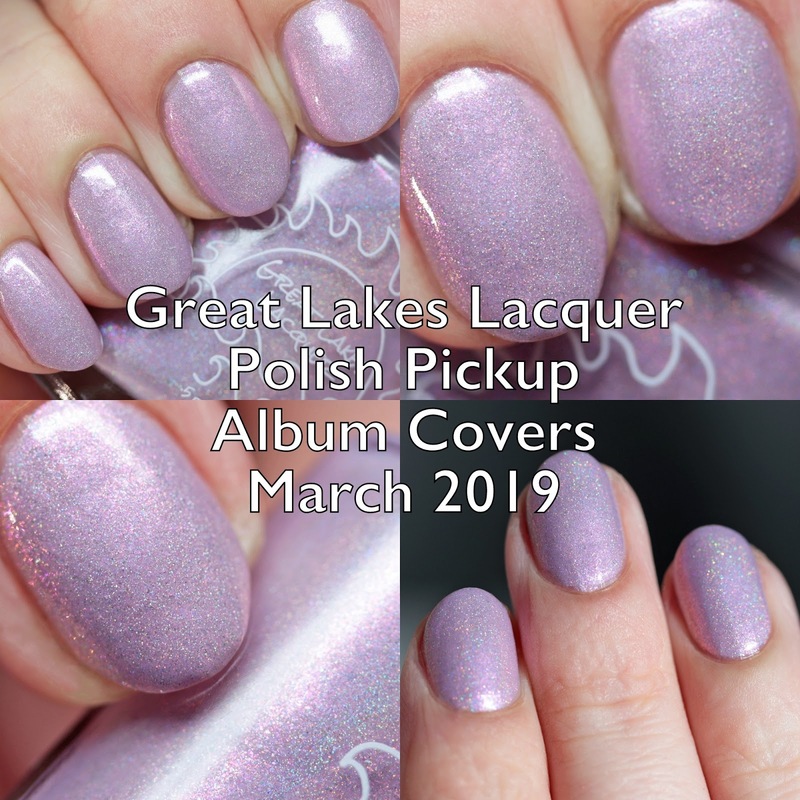 I have Great Lakes Lacquer's polish to tease you with on this post! Polish Pickup is about to come back for a new theme, this time Album Covers! The shop opens Friday, March 1 at 11AM EDT and the pre-order runs through 11:59 PM EDT on Monday, March 4. 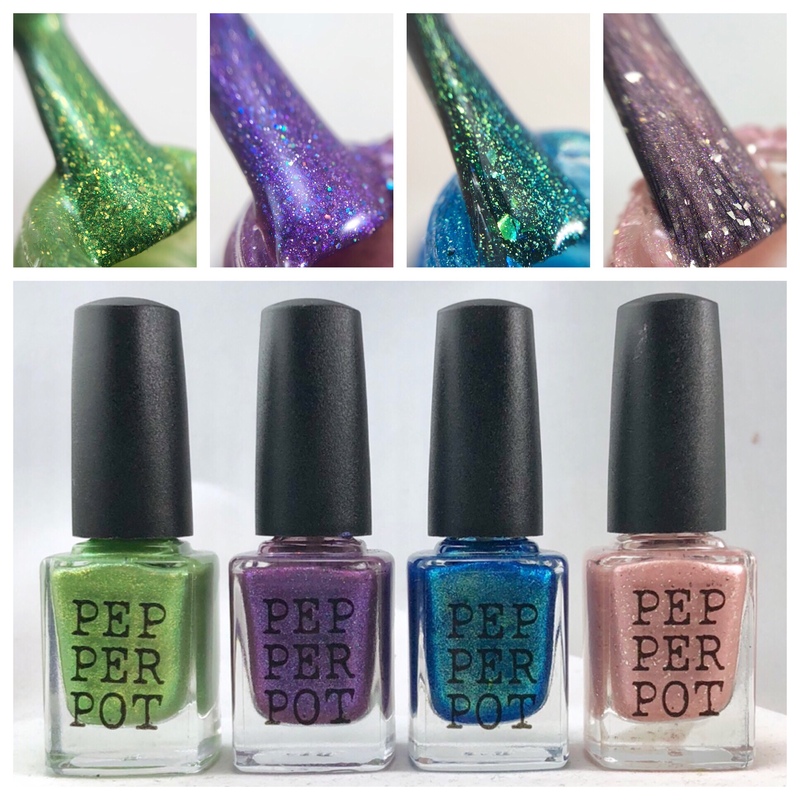 The Polish Pickup is a Facebook group and pop-up shop that offers monthly pre-orders of indie polish made to themes voted on by members of the group. 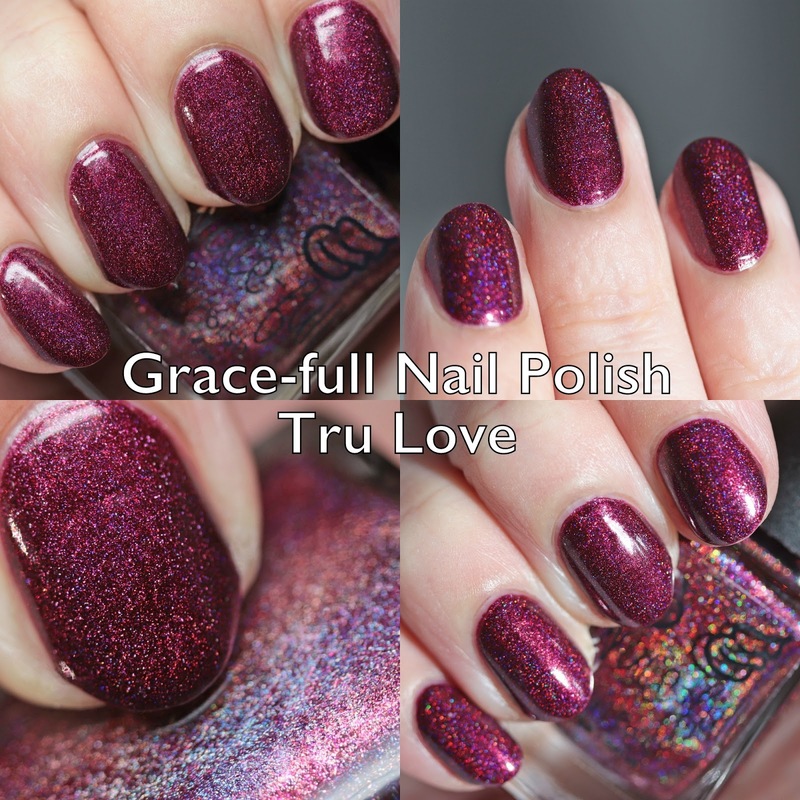 Today's post is about the luscious purple offered by Grace-full Nail Polish! 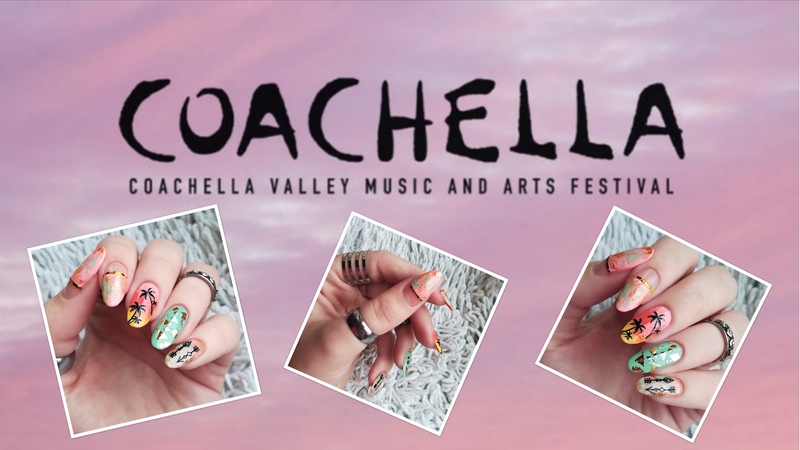 Polish 'M is releasing the Spring 2019 Collection on March 9 at 11AM PST. 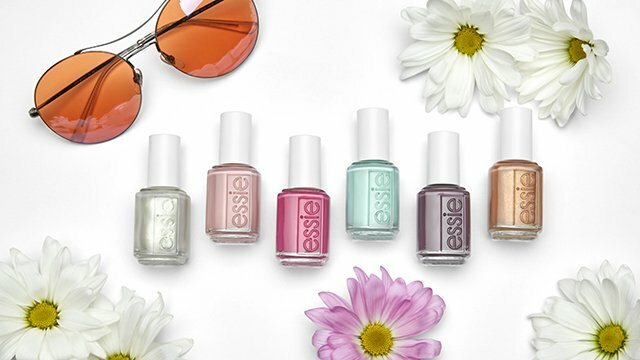 This set of six shades is inspired by all things Spring and nicely channels the season. 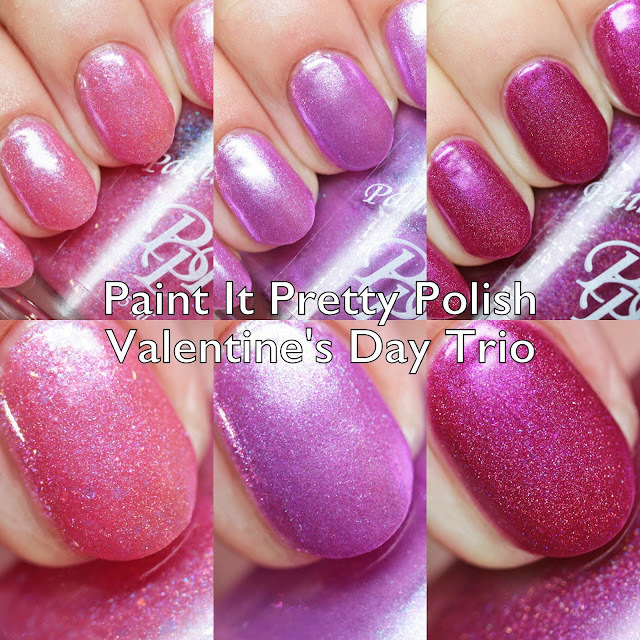 These are currently intended to be one-time release polishes so you will need to be on time - I was sad when I missed the Valentine's polishes which were similar shimmers and sold out very quickly! 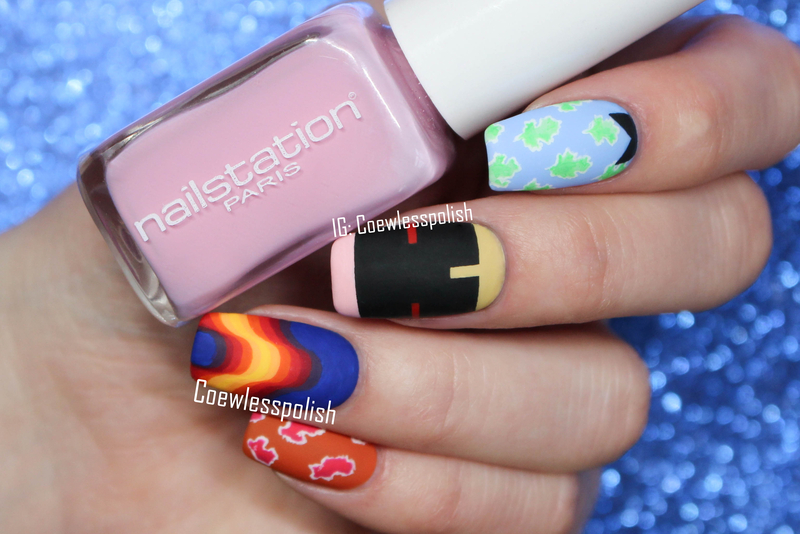 Let's look at these beauties. Grace-full Nail Polish released a gorgeous holo for Valentine's Day and it is still available - and certainly suitable for year-round wear. 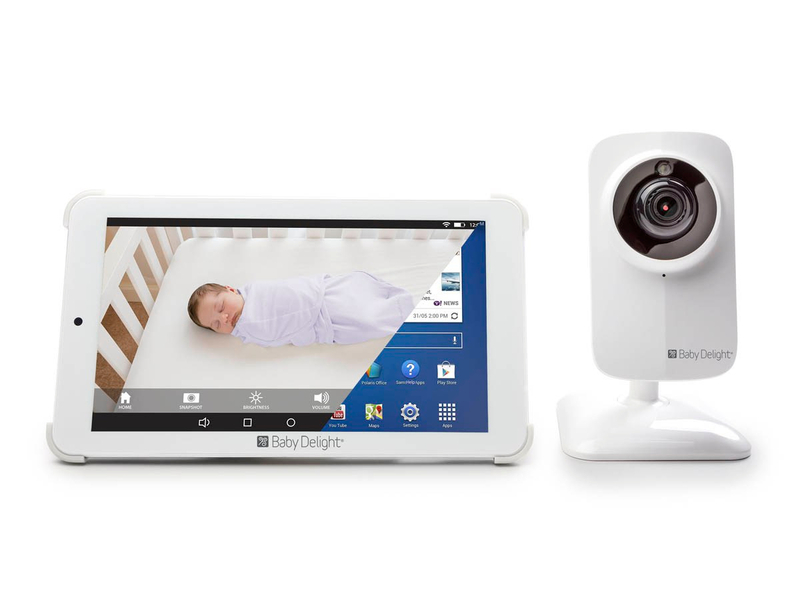 Let's check out this flashy baby! 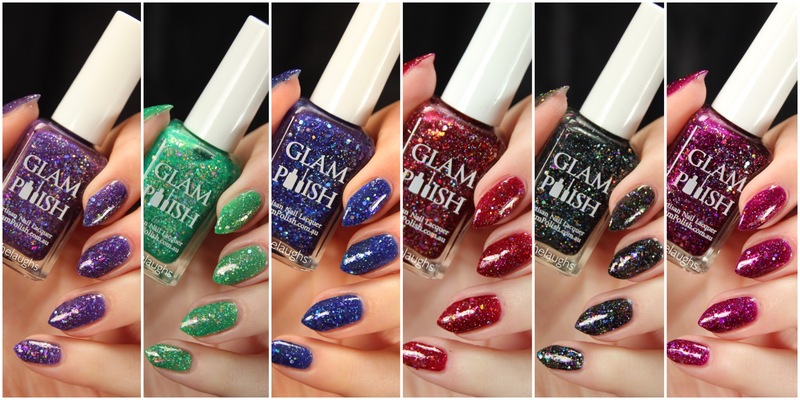 I have three more polishes and a Cuticle Balm to share with you today from Louise Polish. 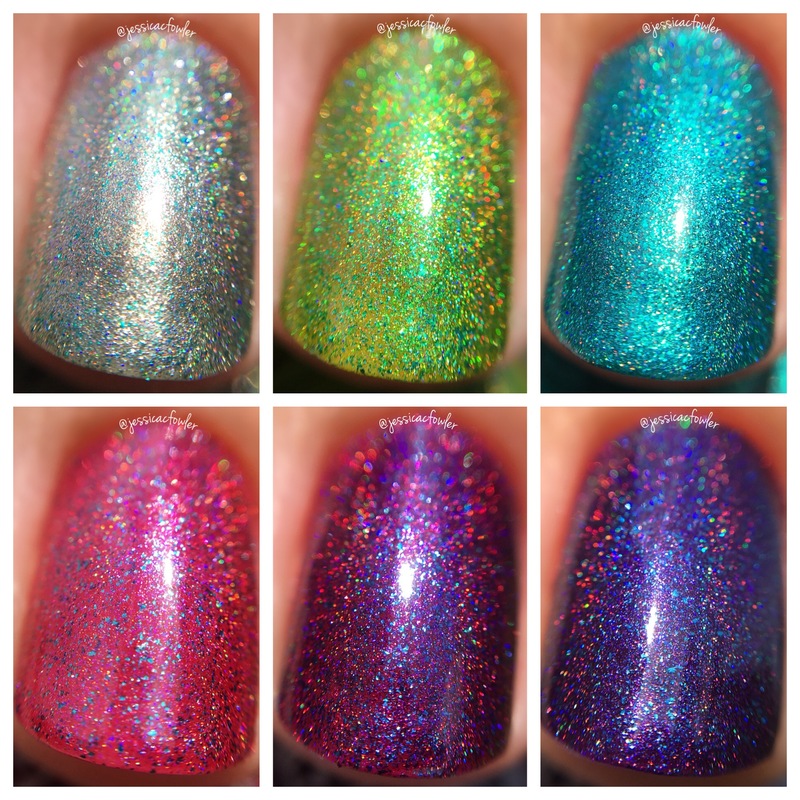 These were a group of previously released polishes that the maker, Tina, sent me for photography and review and they are all available right now! Let's have a look. 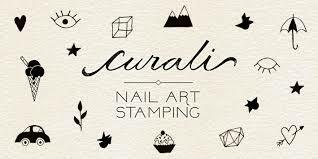 I'm happy to share with you a newer brand, Louise Lacquer made by Tina! 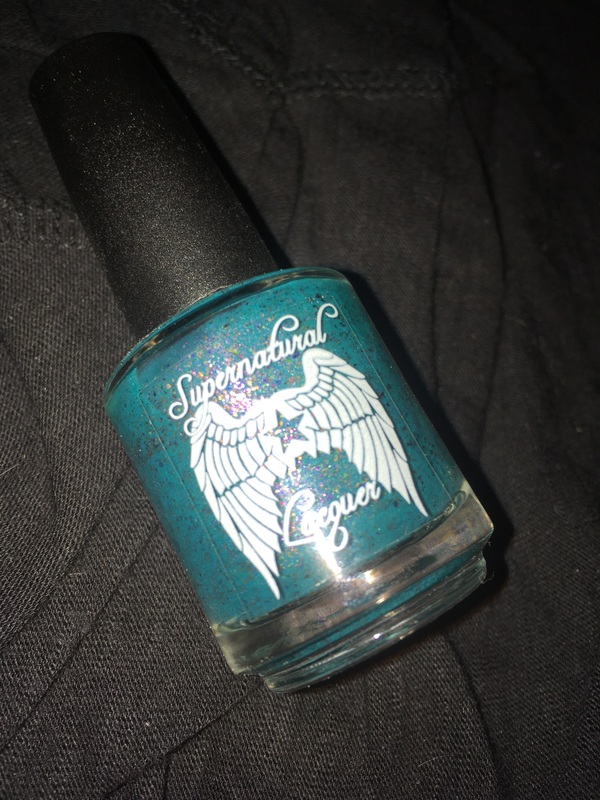 She sent me a variety of previously released shades and I will have two posts of her products to show you. 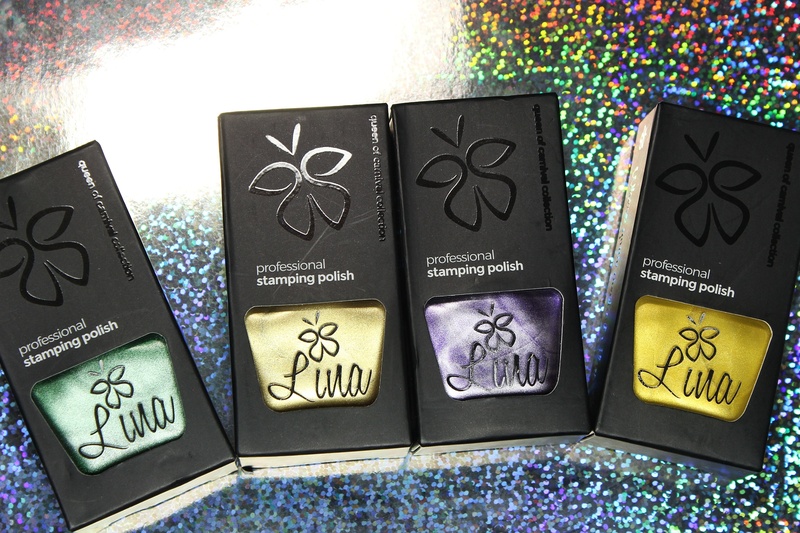 The first four are polishes with a variety of finishes, including thermal and holo. Let's have a look! Rogue Lacquer and Tonic Nail Polish are about to launch the third edition of the Polish Palette for February 2019! 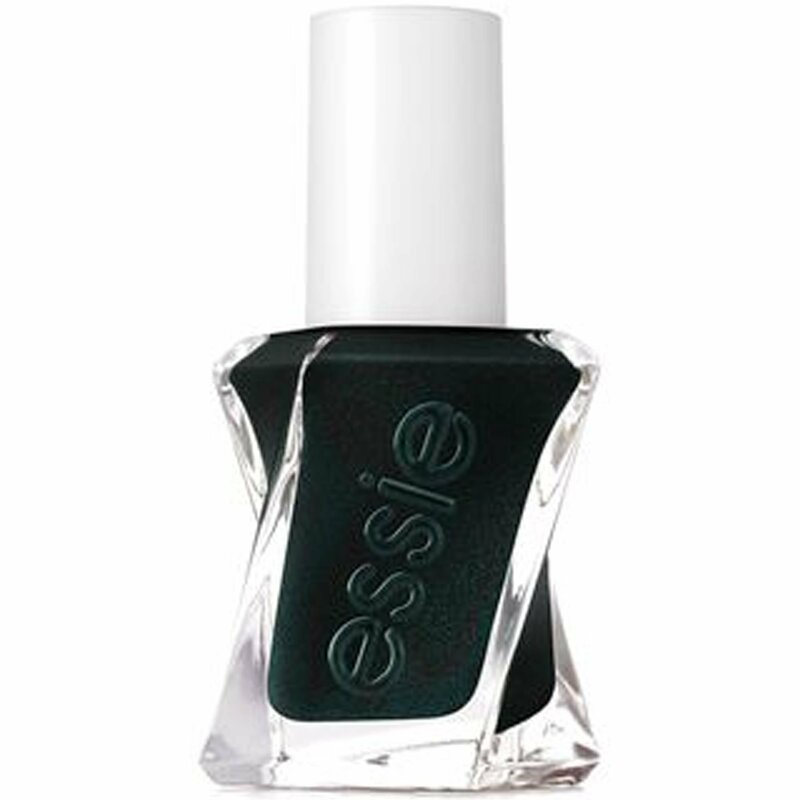 This collaboration involves each brand creating two polishes inspired by a given palette. 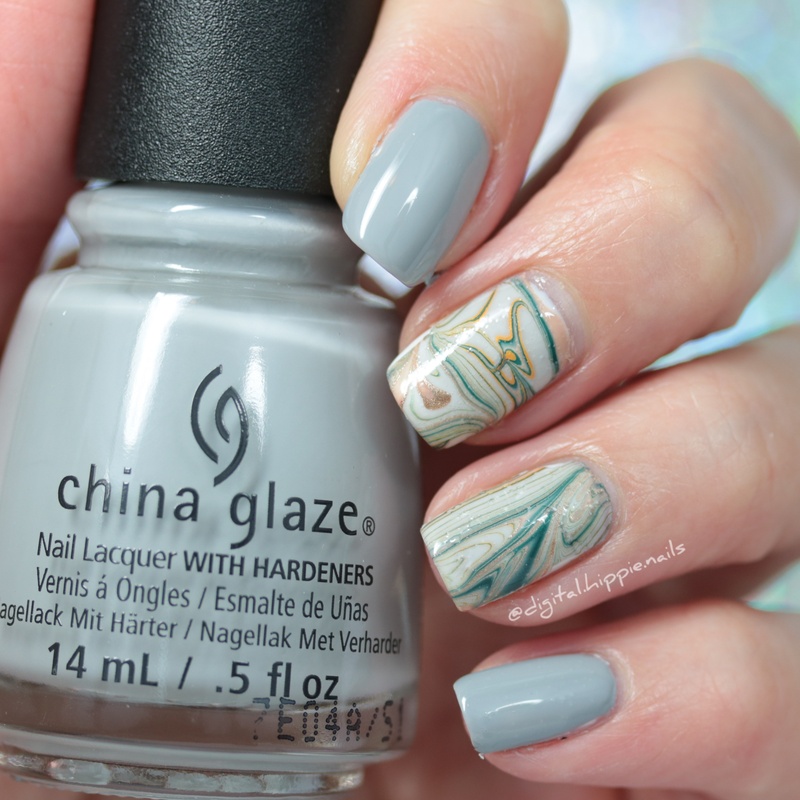 This time, they chose a lovely, misty winter pastel scheme. 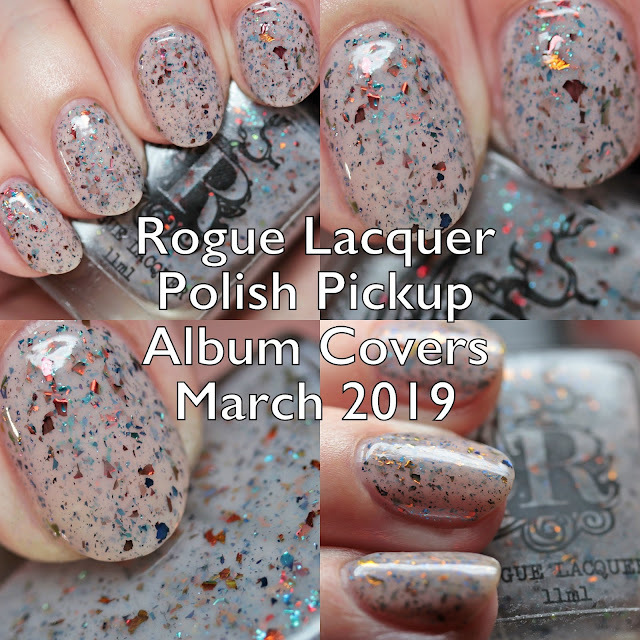 The polishes will be available on February 22 for pre-order in the Rogue Lacquer shop. 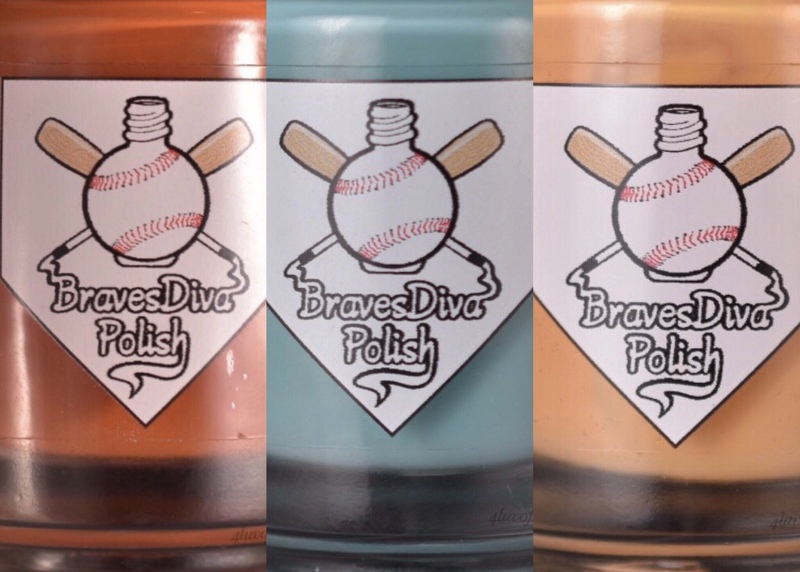 The colors may be released by either brand in the future, but the set is sold for a discounted $40 if you buy now. 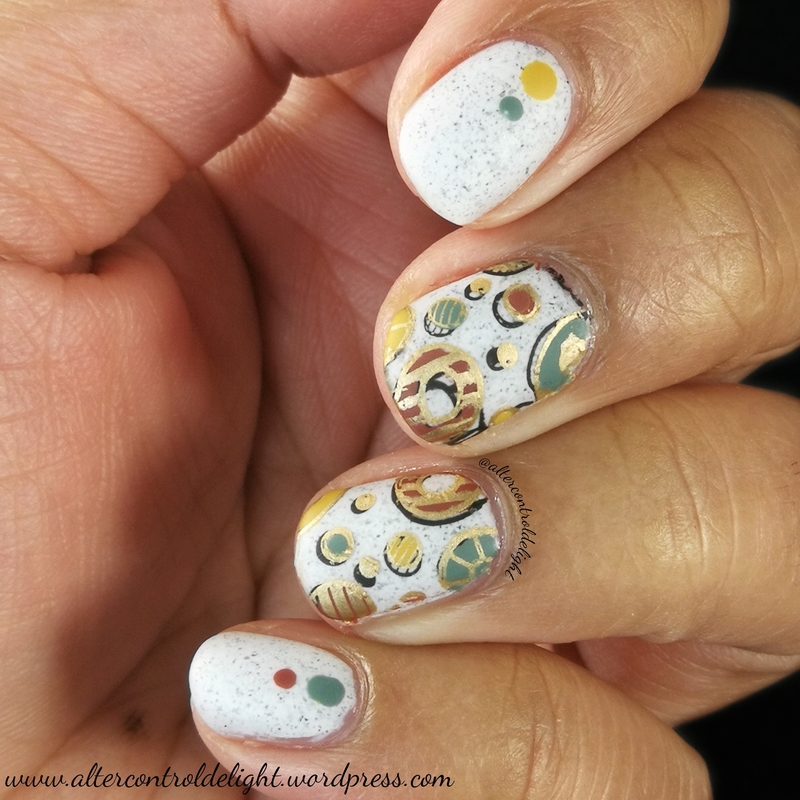 Let's check them out! 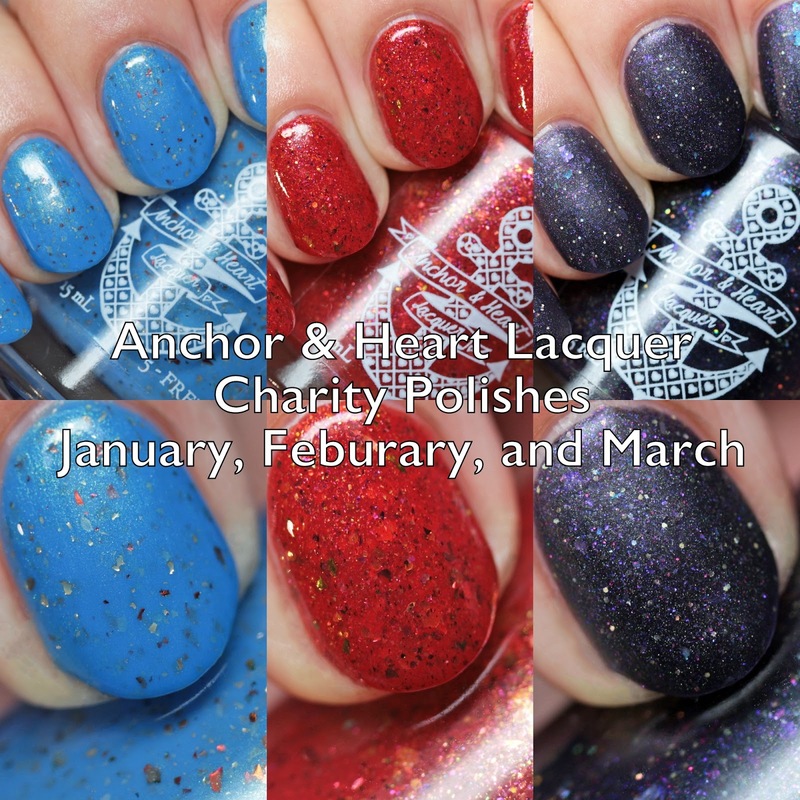 Anchor & Heart Lacquer is introducing a new series of charity polishes, and the first three of them release on Thursday, February 21, benefiting three awesome charities with 15% of the sale price. More info below! 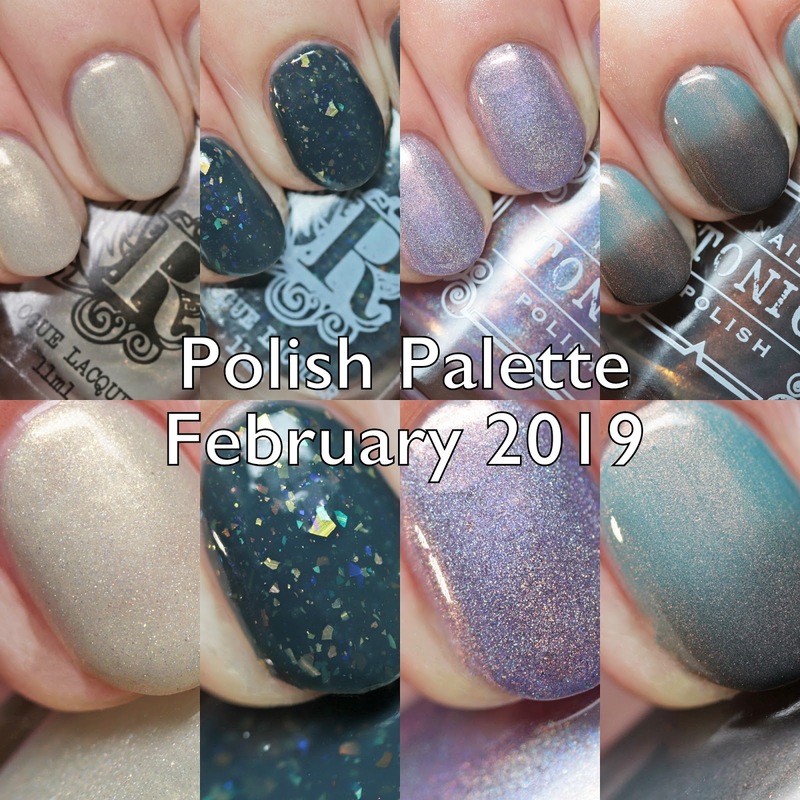 The second half of the Road to Polish Con offerings are coming up for pre-order on February 22 and I have Don Deeva's polish to show you! 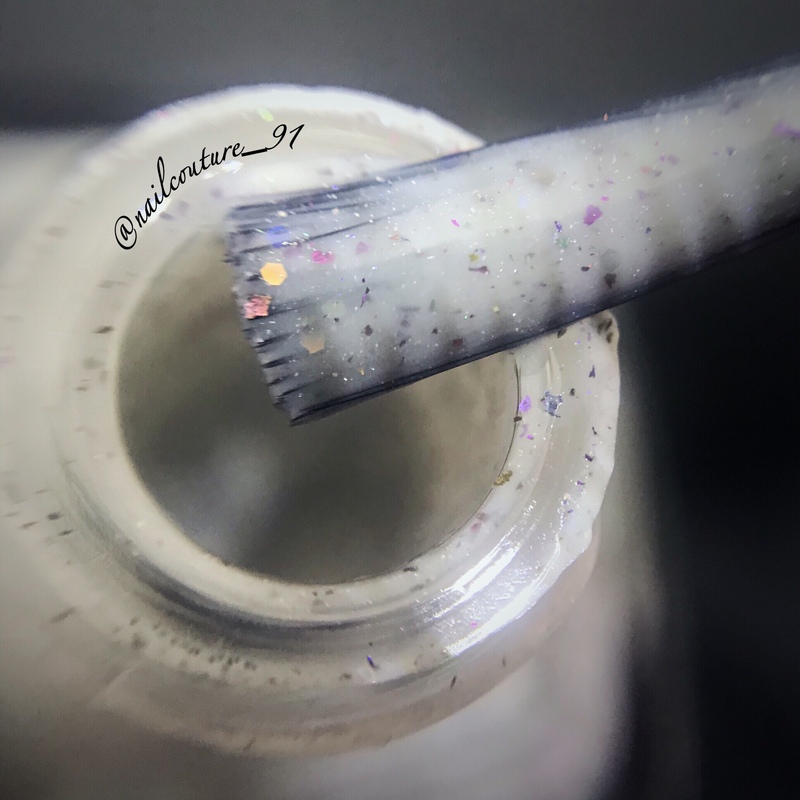 This is a thermal that is packed with lovely shifting flakes. Let's have a look!